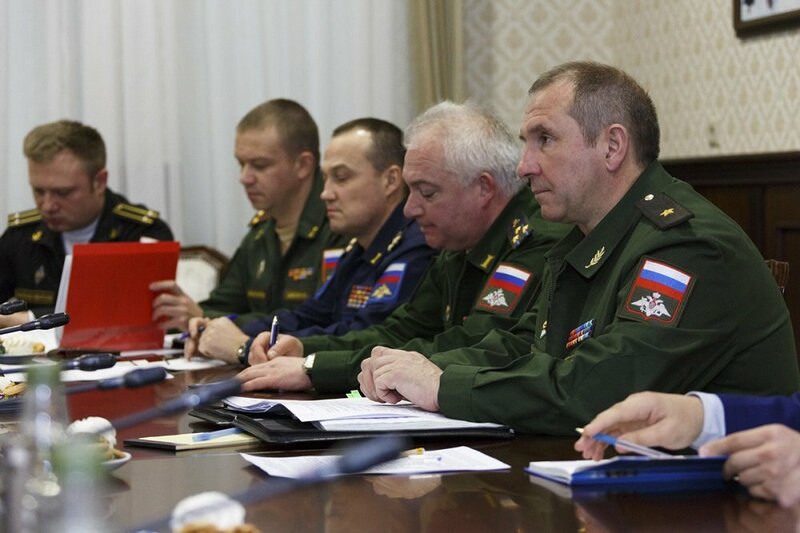 MOSCOW, the Russian Federation, (BulgarianMilitary.com) – On 31 October, the Russian Ministry of Defence reported the visitation of the UN Assistant Secretary-General and Military Adviser for Peacekeeping Operations Carlos Loitey. He has arrived in Russia, upon an invitation of the Chief of General Staff and the First Deputy Defence Minister General of the Armed Forces of Russia, Valery Gerasimov, to attend the CSTO members’ peacekeeping drill, Unbreakable Brotherhood 2018. Before heading to Yekaterinburg to observe the demonstrations within the active phase of the current exercise scheduled for 2 November, the Military Adviser for UN Peacekeeping Operations met with Maj. Gen. Yevgeny Ilyin, Russia’s First Deputy Chief of the Main Directorate for International Military Cooperation, learned BulgarianMilitary.com. The meeting was held on Wednesday (31 October), in Moscow, and the main topic for discussion was the possibility to be enhanced Russia’s participation in UN peacekeeping missions. Speaking on the subject, Maj. Gen. Yevgeny Ilyin informed his guest about the available ways of cooperation between the Russian Army and UN in the peacekeeping affairs of the latter, pointing, as an example, Russia’s participation in such missions, including those of the UN, as well as the training programs for peacekeeping forces of the Russian Defence Ministry and some other possible formats. In turn, Lieut. Gen. Loitey has talked about the UN’s current needs to expand its peacekeeping mission, by highlighting the priorities which the organization has in its activity. During their meeting, both sides agreed to continue their cooperation. The Foreign Ministry of Russia also reported that later on the same day, Carlos Loitey had and a meeting with the Deputy Foreign Minister Sergei Vershinin, where they discussed the peace-keeping initiatives and the activity of several UN missions, including the UNDOF mission (UN Disengagement Observer Force), which is held in the Golan Heights. At the meeting, both interlocutors also exchanged opinions on how to increase the effectiveness of the peacekeeping activity of the United Nations and expressed interest the Collective Security Treaty Organization (CSTO) to be joined. During his visit in Russia, the UN Military Adviser for Peacekeeping Operations is due to meet members of the CSTO Secretariat and some Russian institutions.